Drew Collins is Director of Choral Activities at Central Connecticut State University. Prior to this appointment, he served on the faculties of Wright State University and Augustana College, conducted the University of Cincinnati Men’s Chorus, and taught in the public schools. Dr. Collins holds degrees in music education and conducting from Concordia College, Boston University, and Cincinnati Conservatory. He was named a Fellow by Chorus America, and has masterclassed under four Grammy® nominees. As a tenor and counter-tenor, Collins has sung under the batons of Bart Bradfield, René Clausen, Richard Coffey, Matthew Culloton, Kenneth Jennings, Ann Howard Jones, James Levine, Daniel Moe, Weston Noble, Earl Rivers, John Rutter, Mark Singleton, Dale Warland, and Eric Whitacre. Locally, he is a member of the professional choirs Concora and Voce. 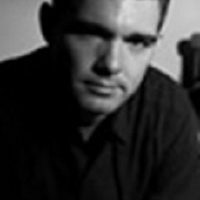 He is a published composer, arranger, and editor of choral music. His works are published by Carl Fischer, Curtis, Earthsongs, E. C. Schirmer, Hal Leonard, Kjos, Mark Foster, Roger Dean, Santa Barbara, and Walton Music. He is commissioned frequently, and several works are premiered each year. He was one of a select few composers interviewed for the book Conducting Women’s Choirs. A proponent of the music of today, he has served as editorial consultant to four publishing companies (two of these as Senior Choral Editor), has served as an octavo reviewer for Choral Journal, served for seven years as repertoire forum editor of Choral Director, and contributed to the most volume III of Teaching Music Through Performance in Choir. He has produced and conducted recording sessions for several publishing companies. He recently served on the editorial review panel for the National Collegiate Choral Organization’s choral series. Collins is in demand as a festival conductor, clinician, consultant, producer, and adjudicator. He has presented at conventions at the state and national levels. He currently serves as College & University Repertoire & Standards Chair for the Connecticut chapter of American Choral Directors Association. He is a certified adjudicator for Connecticut Music Educators Association. He has conducted All State choirs, toured domestically and internationally, led four professional-level adult ensembles, and headlined in Carnegie Hall. Jill is retired from the U. S. Coast Guard Band and U. S. Coast Guard Woodwind Quintet, and currently performs as principal flutist with the Connecticut Virtuosi, Magnum Opus series with the New Britain Symphony, the CT Lyric Opera, Salt Marsh Opera and the Opera Theater of CT. As a flute and piccolo soloist, Ms. Maurer-Davis has been featured on National Public Radio and Australia Broadcasting Co. as well as on NHK in Japan. She has been featured on “Performance Today” broadcasts on NPR. On PBS, she has appeared on Exxon’s “Live at Wolf Trap” series and with Jean-Pierre Rampal on New York’s WNET. Ms. Maurer-Davis was invited by the Boston Symphony Orchestra to perform in recital at Symphony Hall for a special orchestral event. Other appearances have included flute and piccolo soloist at the National Flute Association convention, performances with the Boston Pops, Worcester and Hartford Symphonies, Connecticut Opera, New Haven Symphony, Orchestra New England, Northeast Pennsylvania Philharmonic, and a North American tour with tenor, Andrea Bocelli. 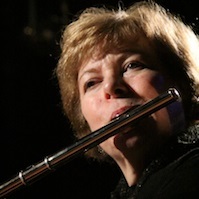 Ms. Maurer-Davis joined the faculty of Central Connecticut State University in 1998, teaching the flute studio and coaching the flute ensemble. Her past teaching affiliations include Brown University, Clark University, and the College of the Holy Cross. She holds B.M. and M.M. degrees in Flute Performance from the New England Conservatory of Music in Boston, and a diploma from the Orff Institute-Mozarteum in Salzburg, Austria. Her principal teachers have included Louis Moyse, Thomas Nyfenger, James Galway, James Pappoutsakis, and Lois Schaefer. She is also certified to teach Suzuki Flute and the early childhood music system, Musikgarten. Pianist Michael Korman, a native of Connecticut, is dedicated to providing audiences with new and authentic experiences through classical repertoire. 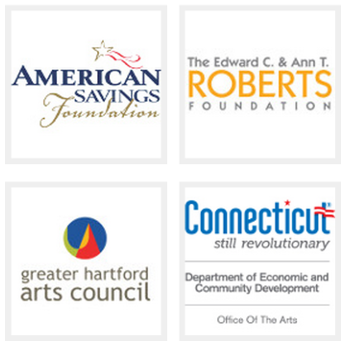 Michael has recently performed with organizations such as the Classical Gang of Hartford and the Hartford Opera Theater. 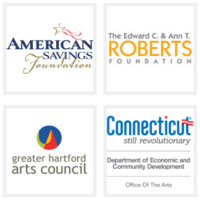 As a recitalist, Michael has recently performed at the New Britain Museum of American Art, and as one half of the duo “Songs Exposed” with soprano Michelle Murray Fiertek. Mr. Korman’s repertoire interests span from German lieder to cabaret song, opera to duo instrumental literature. Michael enjoys performing new music, and recently performed in the premiere of Kermit Poling’s ballet Peter Pan. Mr. Korman believes that his identity as an artist is intertwined with his own self-education and with how he can help others learn. His varied expertise as a vocal accompanist, piano pedagogue, organist, and singer (tenor) have enabled him to work with musicians in numerous contexts. 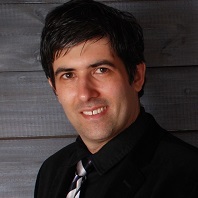 As a teacher, Michael is dedicated to helping students discover their true potential as pianists. He places strong emphasis on practice techniques, physical coordination, and emotional expression. As a result of his dedication to the success of his students, Michael is the recipient of an MTNA Teacher Enrichment Grant. Michael holds a master’s degree from the Hartt School, where he studied with Margreet Francis. In the summer of 2012, Michael traveled to Graz, Austria, where he studied the art of vocal accompanying at the American Institute of Musical Studies (AIMS), and accompanied masterclasses with world-renowned soprano Barbara Bonney and lieder coach Ulrich Eisenlohr. Michael has additionally participated in masterclasses with artists such as Martin Katz, Alexander Kobrin, and Florence Millet. A church organist and choir director, Michael is a member of the American Guild of Organists, and has earned a Service Playing Certificate from the AGO. Kathleen Callahan-Hardman Kathleen has performed at Carnegie Hall as the soprano soloist in Mozart’s “Requiem” and Rutter’s “Magnificat”, conducted by John Rutter. She has sung holiday concerts with the New Haven Symphony Orchestra, The Santa Fe Opera, and The Juilliard Holiday Club. Kathleen was the soprano soloist in Faure’s “Requiem” at the Hofkirche St. Leodegar in Lucerne. She has sung concerts with the Richard Tucker Foundation, the Santa Fe Opera, the Metropolitan Opera Guild, the Licia Albanese- Puccini foundation, the Gotham City Chamber Opera and the Ferris-Burtis Foundation. Ms. Callahan-Hardman performed the Brahms’ “Liebeslieder Waltzes” with the renowned piano duo, Popov and Vona. 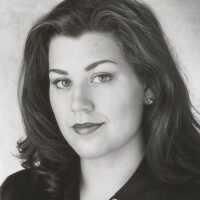 Ms. Callahan-Hardman has performed with many opera companies, including the Santa Fe Opera, Aspen Opera Theater, Opera Theater of Connecticut, Connecticut Grand Opera, Harrisburg Opera, Opera Maine, Longview Opera and the Juilliard Opera Theater. Kate’s roles include Violetta in “La Traviata”, Fiordiligi in “Cosi fan Tutte”, Susanna in “Le Nozze di Figaro”, Antonia in “Les Contes D’Hoffmann”, Musetta in “ La Boheme”, Arbate in Mozart’s “Mitridate”, St. Margaret in Honegger‘s “Joan of Arc at the Stake”, Queen of the Night in “The Magic Flute”, and Victoria/She in the American premier of Ingvar Lidholm’s “A Dream Play” at the Santa Fe Opera. Kate was the Top Prize winner in the prestigious Gerda Lissner Competition. Kate’s other awards include first prizes in the Jenny Lind Competition, the Paul Robeson Competition, the Amici Galli-Curci Competition, the Lyman Baldwin Competition and the Hartford Music Clubs Competition. She received study grants from the Elardo Foundation and the Puccini Foundation. Ms. Callahan-Hardman was the second place winner of the New York Region, Metropolitan Opera Council Auditions. Kate was the recipient of the Santa Fe Opera grant for “most promising apprentice”. Kathleen received a Bachelor of Music from the Eastman School of Music and a Master of Music from the Juilliard School. She apprenticed with Santa Fe Opera for 2 years and spent 2 summers at the Aspen Music Festival. Steven Fredericks’ impressive repertory spans all styles and represents his versatility as a performer. From favorite Puccini roles, Colline and Timur, to the most heroic of Wagner’s characters, he continually explores all dimensions of his talents. Capable in title roles like Massenet’s Don Quichotte and Wagner’s Dutchman, he is no stranger to supporting roles, offering memorable portrayals of Verdi’s Lodovico in Otello, the King of Egypt (Aida) and the Bonze in Madama Butterfly. Notably, Fredericks created the role of Signorelli in the world premier of Louis Gioia’s Un Racconto Fiorentino at Alice Tully Hall, Lincoln Center. He also contributed to the premiere of Lee Hoiby’s The Tempest at the Dallas Opera singing the role of Antonio, the ambitious evil brother. Other recent performances include the bass soloist in Handel’s Messiah at Carnegie Hall, Strommenger in La Wally with Teatro Grattacielo at Allice Tully Hall conducted by Guido Ajmone-Marsan, Reinmar in Tannhäuser with The Baltimore Opera conducted by Christian Badea and Ferrando in Il Trovatore with Maestro Anton Coppola. Fredericks frequently appears with Maestro Vincent La Selva and the New York Grand Opera in Central Park, New York City. He sang the role of Filippo in a highlighted version of Don Carlo at the 1997 Opera America Convention in Philadelphia. Internationally, he has performed with The Chuvash State Theatre (Russia) as Sparafucile in Rigoletto, and the Herald in Lohengrin, Paris/Saone-et-Loire (France) where he also appeared as the bass soloist in the Beethoven 9th symphony. Recently, he has performed Zaccaria in Nabucco and the title role in Boito’s Mefistofele with the Taconic Opera and Crespel in Les Contes d’Hoffmann with The Connecticut Lyric Opera. Upcoming roles include Ramfis in Aida and Lodovico in Otello with The New York Grand Opera celebrating the 200 birth year of Guiseppe Verdi. Mr. Fredericks graduated from Indiana University with a degree in vocal performance and continued his studies at the Academy of Vocal Arts in Philadelphia. 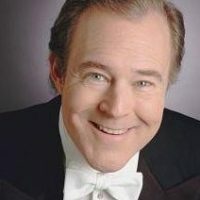 Alexander O’Neil is a tenor and countertenor. He is currently completing his bachelor’s degree in voice performance at Central Connecticut State University. O’Neil has sung in CCSU’s pre-professional vocal ensemble, University Singers, under Dr. Pamela Perry and Dr. Drew Collins. 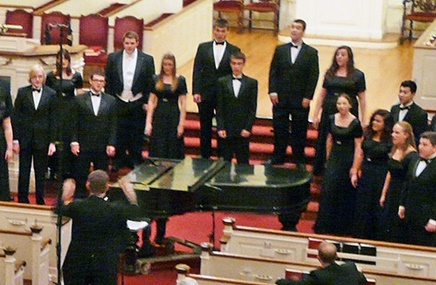 He also sings in the professional vocal ensemble Voce, and is a section leader at Immanuel Congregational Church. In 2016 and 2017, O’Neil sang as tenor soloist for “Messiah” with the Eastern Connecticut Symphony Orchestra under the direction of Mark Singleton. He has studied voice with Jack Pott and Benjamin Rauch. Alexander is pursuing a career as a vocal performer. He was recently named a finalist in Chanticleer’s audition process.